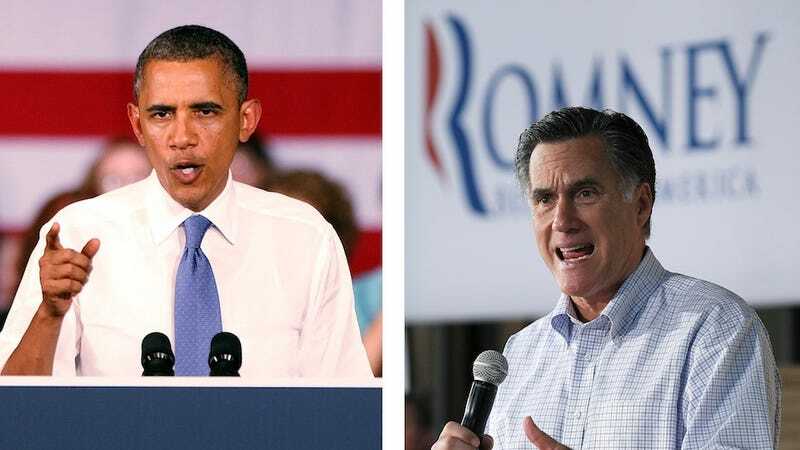 Four out of every ten Xbox Live users who are registered to vote don't know whether they plan to pick Barack Obama or Mitt Romney in the next presidential election, a Microsoft survey says. That's quite the percentage. According to recent Gallup polls, only 8% of the country's voters are undecided. If you're counting at home, that's a gargantuan 32% difference. Microsoft thinks their users might need some more prodding. So the Xbox maker is starting a campaign to help lower that ridiculous percentage of undecided voters through a new hub called "Election 2012" for Xbox Live. You'll be able to use that hub to educate yourself on the issues surrounding this election and see how other users feel about the debates, among other things. "Xbox Live has about 40 million members around the world," said Xbox Entertainment's senior director of public relations Jose Pinero, senior director. "We have a great audience, an engaged community. We want to make sure that we help that community to enjoy not only entertainment but something that's so important as the elections... We're calling this audience the ‘Xbox Swing Voter.' They will decide in the next couple of months how they'll vote, and it will be interesting to see how they move as events move forward. I think that both political parties will be interested in seeing how that group tracks." You'll also be able to rate the presidents' performances during debates in real time, alongside fellow Xbox Live users. Sadly, your Xbox still won't let you vote. Maybe a feature for Durango?